TLM LIVE environment > North Shore Vein Center > Blog > Uncategorized > What Are Symptoms of Restless Leg Syndrome? What Are Symptoms of Restless Leg Syndrome? Many people have become aware of a condition commonly known as Restless Leg Syndrome (RLS). Restless Leg Syndrome (RLS) is a disorder characterized by an uncontrollable urge to move the legs. Symptoms of RLS include itchy, burning and tingling sensations. It is worse at night when lying down and is relieved by movement or walking. RLS can cause trouble falling asleep, and/or repeated awakenings. This disorder is most common in middle and older age groups and affects 10-15% of the US population. Worsening of symptoms at rest. Some patients report symptoms are worse when lying down, or sitting for long periods of time. Worsening of symptoms during end of day or at night. Improvement of symptomatic conditions with activity and movement. If you are having a hard time describing the sensations that you think might be restless leg syndrome, you are not alone! Many other patients have a hard time describing the condition. The general feeling associated with Restless Leg Syndrome is often described by patients as “something feels just antsy, creepy, or uncomfortable”. While most have these feeling in their legs, the syndrome can occur in arms as well. An urge to move while experiencing these symptoms is also common. There are numerous causes for RLS such as intake of stimulants (including caffeine), side effects of some medications (i.e. beta blockers and antidepressants), alcohol, pregnancy, drug withdrawal, anemia, and chronic liver or kidney failure. RLS is believed to be associated with a number of factors, including iron deficiency, peripheral neuropathy, Parkinson’s disease and other neurological disorders. Various treatment options for RLS are available including iron supplements, pharmacological treatment (drugs), and lifestyle changes including exercise. 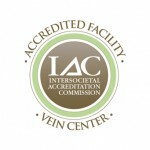 In addition to consulting with your primary care Physician on the best course of treatment, a consult with a venous disease specialist (Vein Doctor), should be part of a comprehensive diagnosis and treatment plan. Consulting with a venous specialist is important to rule out venous disease as a possible underlying cause of RLS before embarking on a course of therapy. Treatment and diagnoses for restless leg syndrome should be sought if your discomfort is consistent.